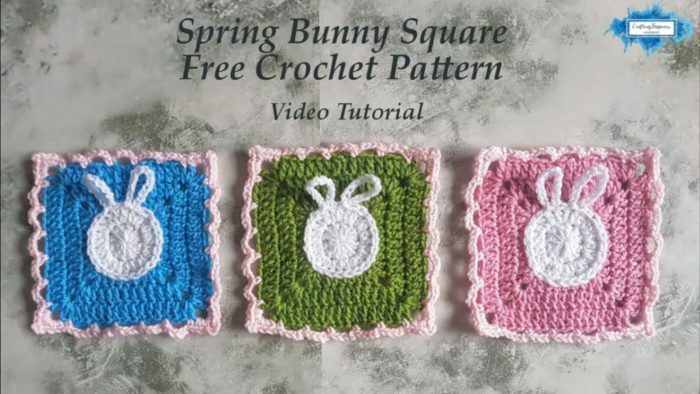 Hello everybody, today I will be showing you how to crochet Easter bunny squares in different colors and I’m gonna be using a free crochet pattern with the step by step video tutorial. This is a very simple and easy to work up bunny square. Even if you are a beginner crocheter, I’m sure you will handle it without any difficulties. It’s almost Easter time. in just about a week it will be a big day, so I’ve decided to take advantage of an opportunity and make these lovely bunny squares for this beautiful day. As we all know, Easter is an old Christian festival commemorating the resurrection of Jesus from the dead, described in the new testament as having occurred on the 3rd day after his burial. That’s why we love and celebrate this holidays and that’s why today we have brought you this free crochet pattern and the step by step video tutorial on how to crochet an easter bunny square. Enjoy your crocheting time and always feel free to share your experience and ideas with us and other crochet lovers. Good luck. In this free pattern, I will show you how to crochet this cute, colorful and simple Easter bunny square from start to finish. Just follow the step by step instructions and enjoy your crocheting.